The Zombies, an overlooked masterpiece risen from the dead. 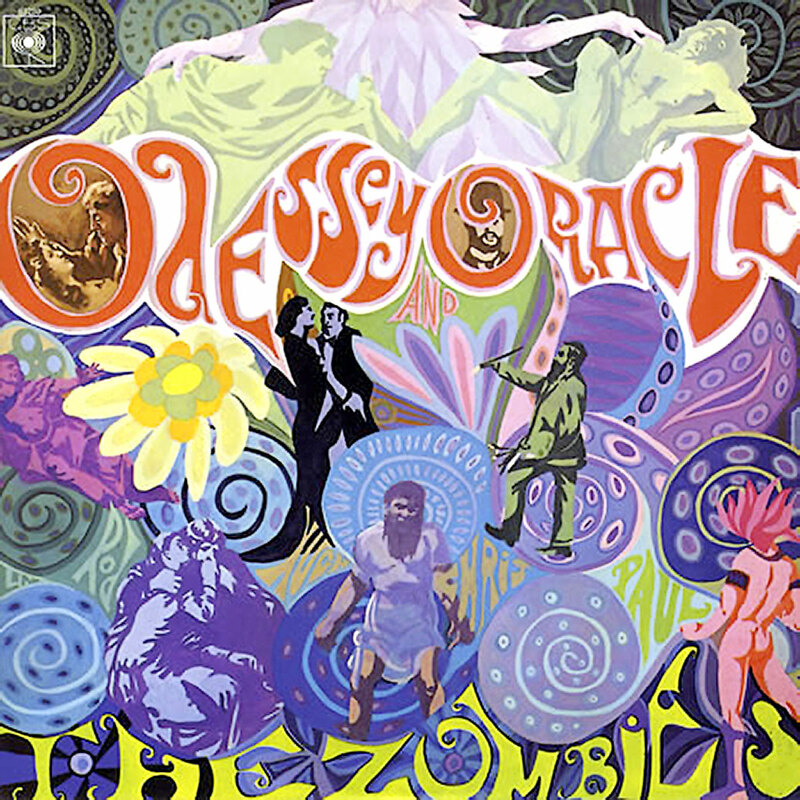 Released in America in February 1969, two years after it was recorded, The Zombies’ second album Odessey and Oracle (O&O) fell flat and never made a dent in the charts. At its release the band was not together, they had broken up due to stagnant sales and some inner band acrimony. The closet thing to The Zombies at that time was the newly formed band from their ashes, Argent. That band would soon have the hit Hold Your Head Up on their hands. The shame of all of this is that O&O is one of the best examples of British pop/psychedelic ever recorded. Solidly in between Sgt. Pepper and Pink Floyd’s early work, it stands the test of time. To fathom the little faith their record company had in their work all you have to know this tidbit. The graphic designer/illustrator mis-spelled Odyssey, but the brass decided not to change it after it was discovered, before being printed, due to the cost, which was minimal. If it wasn’t for some smart American DJ’s discovering the year old single Time Of The Season, and it becoming a hit, the album would never have seen American shores. The songs are stunning and, just like Pepper, recored in Abbey Road Studios and engineered by Geoff Emerick. Graced with a great vocalist in Colin Blunstone and players such as Rod Argent and Chris White, the work soars with harmonies, guitars, keyboards and the go-to instrument of the day, the Mellotron. O&O starts off with this track, Care Of Cell 44, and only gets better. I admit, I was a very late comer to this work. I discovered it about 7 years ago. I feel bad for all the times I could have heard this gorgeous piece of work from a greatly under-appreciated band. O&O is now considered one of the great 60’s albums and is ranked in most Best Albums Lists. Rolling Stone has it at #100 in its “500 Greatest Albums of All Time” and New Musical Express placed it at #32 on their “100 Greatest British Albums Ever!” list. If you have never heard it, I highly recommend you listen, also recommended is the Live 40th Anniversary Concert. It and The Zombies sound amazing.